Global citizens make the best construction managers. Just ask Julio Cuenca, a December 2014 graduate of FIU’s OHL School of Construction Management who landed a job before the ink was dry on his diploma. 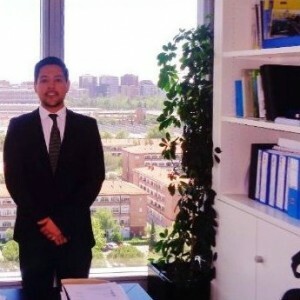 Cuenca worked as part of a team that supports the bidding process for new projects. He assisted a senior engineer with proposals for two rail projects, one in Brazil and the other in Ireland. His duties included estimating quantities of materials needed for components such as concrete columns and beam spans. He also had to research local building codes, a task that confirmed the value of knowing how to respond appropriately across cultures. “My big impression is, in construction there is no one way to do business,” Cuenca says. He saw marked differences, for example, in what Europeans and Latin Americans expected of firms vying for jobs. He noted that standards and requirements are set in stone in countries such as Ireland, making it nearly impossible for a construction firm to suggest any deviations from an approved design plan. In Brazil, on the other hand, contracting agencies welcome changes for reasons of innovation and cost savings. OHL believes so strongly in its employees’ understanding how cultural differences impact construction work that it offers workers foreign-language instruction as a way to promote that, Cuenca says. The business lessons Cuenca learned at OHL, combined with an earlier internship in Panama and a required school course that covered international construction documentation and communication, together made for a powerful resume. On January 5 he started a job as a project engineer in the Miami office of a New York-based company looking to grow its international division.